Site Map for IFS Power & SCR DeNOx Packages. IFS engineers and manufactures modular packages for Gas and Coal Fired Simple Cycle and Combined Cycle power plant projects that require SCR DeNOx, Balance of Plant (BOP) and/or Fuel Gas Conditioning modules. Units can be original to a project or a replacement for an existing unit. Either way packages arrive ready to “plug into” your process system. Balance of Plant (BOP) Packages support Simple Cycle and Combined Cycle Power Plants, including Pressure Reduction Stations, boiler feed pump packages, chemical injection pump packages, closed sump packages, Integraheat Process Heating Packages, and many other packages. Gas Fired Combined Cycle Power Plants require clean, dry natural gas as fuel. IFS’s Fuel Gas Conditioning Membrane Filtration Packages remove particles and liquids from natural gas, in the pipeline, then superheat the gas to a target temperature (normally 50 F) above the dew point. 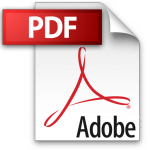 This “conditioned gas” is provided for varying inlet gas conditions and varying ambient conditions. IFS loads the multiple gas and ambient conditions into a process simulation program (Aspen Plus dynamic process), then selects equipment to meet the most rigorous conditions. To learn about the many cost-and-time-saving advantages of modular packages over stick-built units on a project, see Modularized Fabrication vs Stick Built Construction of a Process Unit. 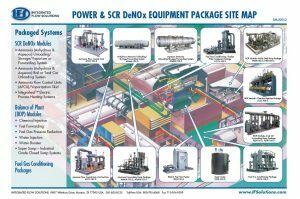 View the IFS Power & SCR DeNOx Equipment Package site map to see how IFS’s modular products “Plug Into” Simple Cycle and Combined Cycle power plants.